The NPSL season began last week when Ft. Worth Vaqueros and Shreveport Rafters FC won in Week 1. Week 2 play brought the rest of the teams into the action, except for Laredo Heat who begin the season later this month. Dutch Lions FC overcame a 3rd minute red card and defeated Houston Regals FCA 3-0. HDLFC defender Antone Jarvis (from UTRGV) was sent off early in the match due to denial of an obvious goal scoring opportunity. Despite the setback, forward Josip Validzic opened the scoring for the Dutch Lions 7 minutes later. A brace from substitute Jacob Powell (former Austin Aztex-PDL), once immediately before the break and the other in the 60th minute, sent the Regals to their second loss of the young season. Last week was an early demonstration that new Midland-Odessa Head Coach Luis Rincon intends to maintain the high standards that the Sockers have established over the last couple of years. 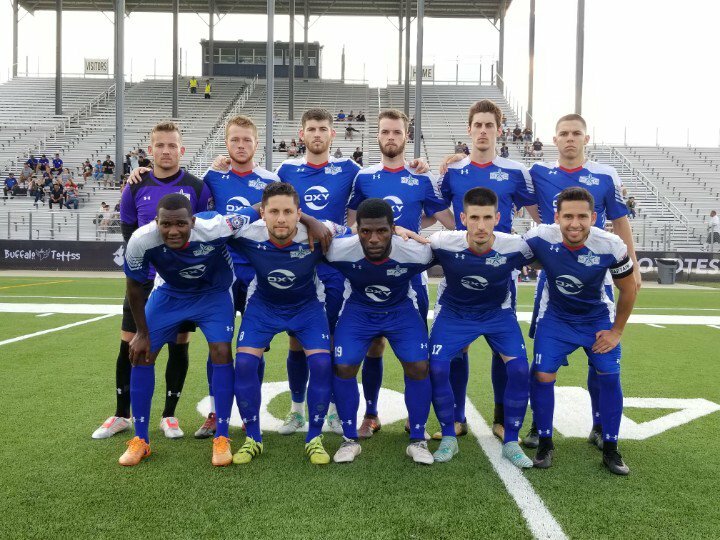 A midweek convincing 3-0 victory over Lakeland Tropics in the Lamar Hunt U.S. Open Cup set the stage for the opening 1-0 NPSL road win over FC Brownsville. A first half stoppage time handball by FC Brownsville resulted in a penalty, converted by Xavier Lao. This was the only goal MOFC would need to secure the shutout win. The match was a little testy as 7 yellow cards were shown, five to MOFC and six total in the second half. “It was very impressive the way our players fought for every ball against a team that got second place in our league’s championship last season. They fought hard from the beginning to the end. That’s what I really liked about them in this game. Midland-Odessa will next play USL’s San Antonio FC in Round 2 of the Lamar Hunt U.S. Open Cup tomorrow (Wednesday, May 16) in Midland. The visitors from Louisiana disappointed the, close to, 500 home fans in attendance at Katy 1895 FC’s inaugural NPSL match by scoring twice in the final 30 minutes to complete a 3-1 win. This was the second consecutive road win for the Rafters after the opening weekend 2-1 victory in Tyler. After Andrew Fulmer opened the scoring for the Rafters in the 18th minute, Katy-native and Houston Baptist’s midfielder Jordi Corbo, assisted by Sergio Loredo (UTRGV), scored the first ever Katy 1895 goal to tie the match in the 51st. Shreveport took the lead 9 minutes later on this Steven Bush long-range strike (below). The Rafters Hayden Tucker’s 90th minute score put the match away. As always, @FWHellfire brought the noise and the smoke… Vaqueros family, have a great Sunday Funday and Happy Mother's Day to all the soccer Moms!